Parties are a year round practice! But for some reason, they seem to pile up in the summer! Maybe simply because kids are more available due to lack of school, but no matter the reason, the party season is here! 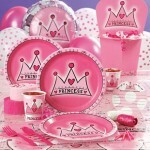 Some fun themes for kids parties are always the classics, super hero, princesses, disney, and there are so many more! By making parties have a theme, it gives the celebration life! Also, it gives parents of the kids coming something to base their gift ideas on, making it easier on everyone. Most big stores have all kinds of decorations for theme parties, especially party stores! Not only is everything already laid out for you, but it makes the party special! Party City has some great themes for parties. And we think we make great goodie bag thank you gifts for kids. Bookmarks, Stickers and Coloring books to make your guests and their parents smile. And our customized free coloring pages can make a great party activity. Print them today on your own printer. Previous: Previous post: Nannies, because every parent needs a break.